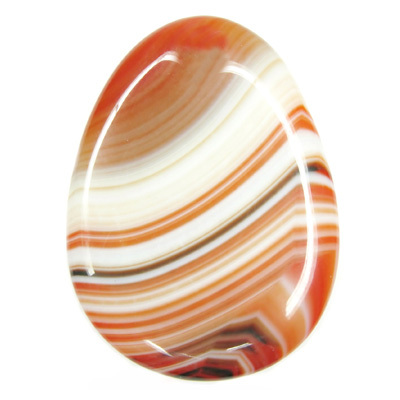 Carnelian brings a warm fiery and joyful energy that’s stimulating and empowering. It’s known as a stone of creativity, motivation, and courage, and is said to attract prosperity and good luck. Carnelian can be worn to enhance passion, love, and fertility. This mineral is also known as “Singer’s Stone” because it brings clarity to the voice and encourages confidence in performers. 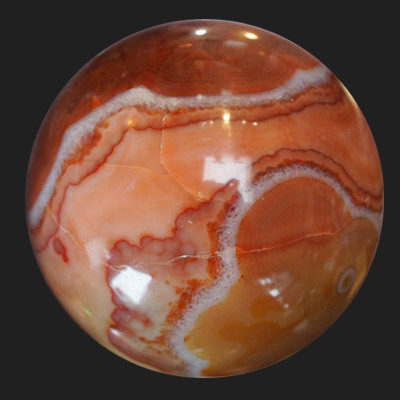 This stone is an orange-colored variety of Chalcedony, a mineral of the Quartz family. Its color varies from pale peach to a brownish red. Carnelian (also called Cornelian) has been used for more than 4000 years. Ancient Babylonians, Greeks and Romans wore amulets and seal rings made from carnelian. The ancient Egyptians called this stone “the setting sun.” and associated the orange stone with the fertile mother goddess, Isis. Red Carnelian was considered a male energy stone, worn by warriors for courage and power. Alchemists of the Middle Ages used it to activate the energy of other Chalcedonies. The Islamic prophet Mohammed, Napoleon and Johann Wolfgang von Goethe all wore carnelian, believing that the gemstones brought good luck and provided hope and protection.